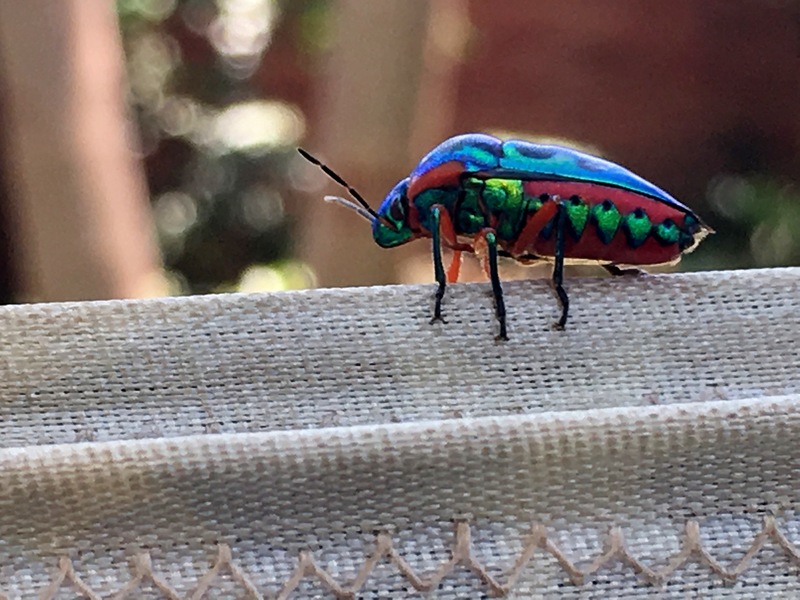 This afternoon we found one of our favorite bugs in our backyard! 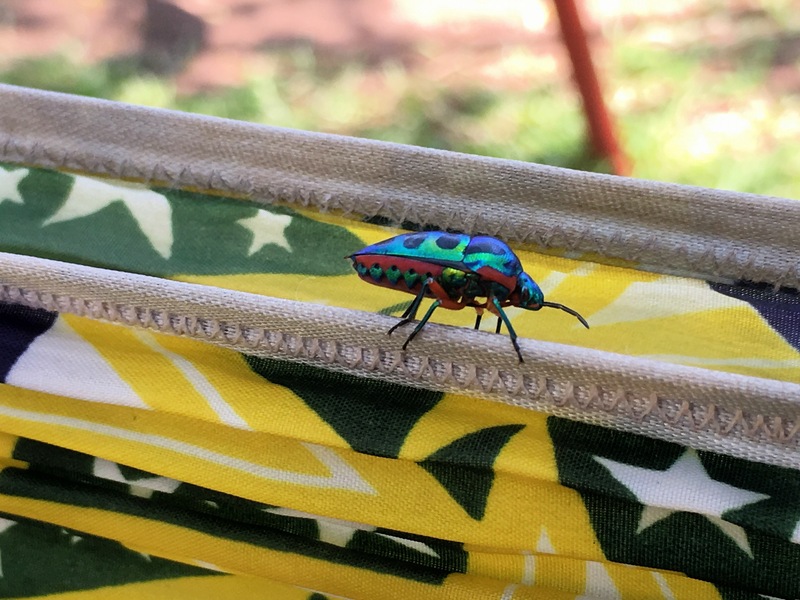 The girls were about to lie down in the hammocks for rest time and this rainbow shield bug was just hanging out on a hammock. Yay for cool African bugs! This entry was posted in Amusing Things, Life in Africa, Our House.